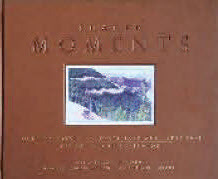 Shared Moments: Rocky Mountain National Park and Estes Park Remembered in Postcards by James Pickering and Bobbie Heisterkamp, was designed and typeset by CIPA Associate Members Pratt Brothers Composition. The book won the Gold Award for Adult Trade Book—Illustrated at the 2012 PubWest Book Design Awards. See the entire list of winners HERE.